This incredible weather has seen people up and down the country dusting off their barbecues. But how do you know that the food you are cooking on the BBQ is safe? 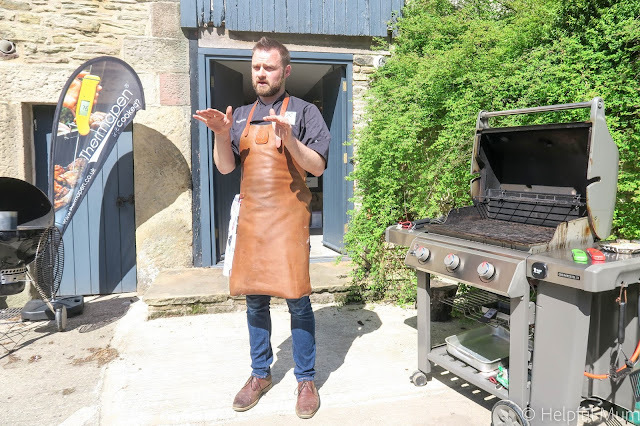 Last week I was invited to an event at John Whaites Cookery School near Wigan to learn how to correctly cook on a BBQ. Our host and teacher for the day was Richard Holden, the master chef of the BBQ. I have to admit to not even owning a BBQ, largely due to the fear of not being able to correctly cook food on it, so I was eager to learn. New online research from YouGov indicates that a lack of knowledge surrounding safe barbecue cooking is to blame for food poisoning double over the summer months. That's a pretty shocking statistic, but one that I am not entirely surprised by! Running the B&B, we have to prove using a thermometer probe that our food is cooked. I hadn't ever thought about using this technology during a barbecue, or even using one as standard when cooking any food. 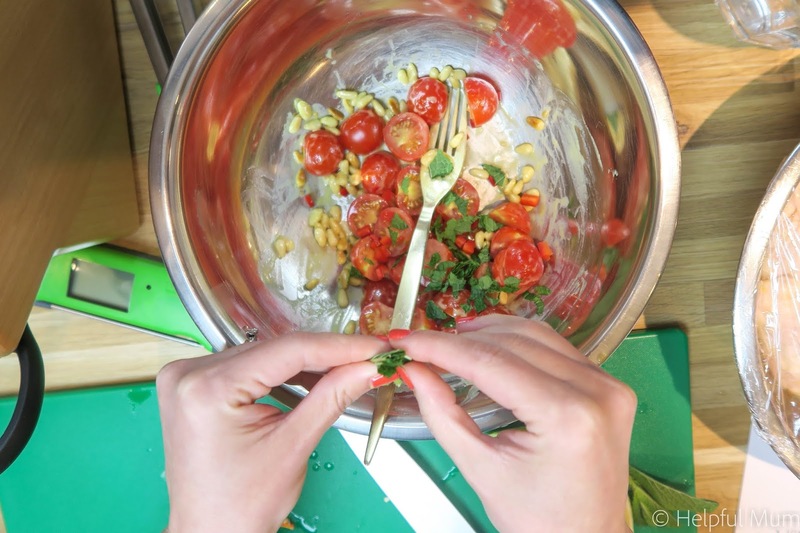 We were split into groups of three or four and given four recipes to complete. The first part of prep started in the kitchen. We were making chicken breast with lemon and thyme, flat iron steak, pea, bean and cucumber salad along with a tomato, rocket and pine nut salad. 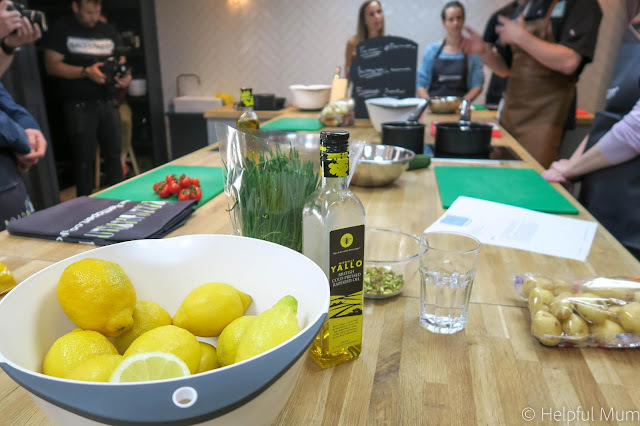 It was so nice to cook with all the ingredients laid out and a specific recipe in front of me. The incredible kitchen we were cooking in definitely helped too! Research commissioned by Thermapen, suggests that people are undercooking burgers (14%) and overcooking chicken (28%). Over 80% of people surveyed did not know the correct internal minimum temperature for cooking a burger (70°C)1 and over 80% did not know the correct minimum temperature for cooked chicken (74°C). 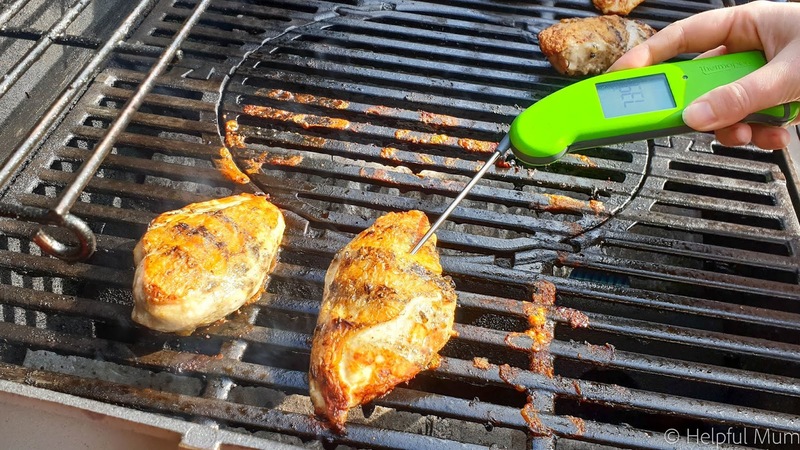 Using a Thermapen ensures that your meat is cooked to the correct temperature. The SuperFast Thermapen® is made in Britain by ETI Ltd. The Thermapen 4, includes a patented 360° self-rotating display that can be used in any position, in either hand. 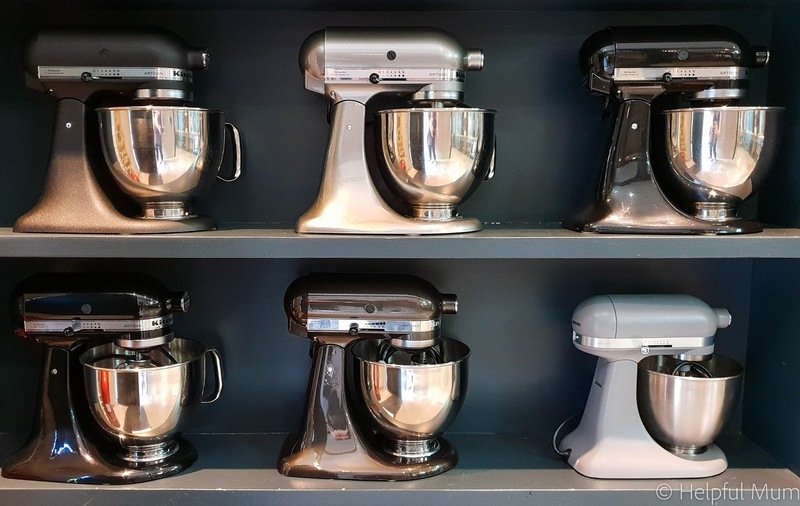 It can be used to perfect dishes of all varieties, from tempered chocolate to jam, to the Sunday roast, barbecued meats and sugar craft. The meat was simple to cook, and we ensured that the lid stayed on the barbecue as often as possible. Using the Thermapen definitely took the unease about barbecue cooking away. 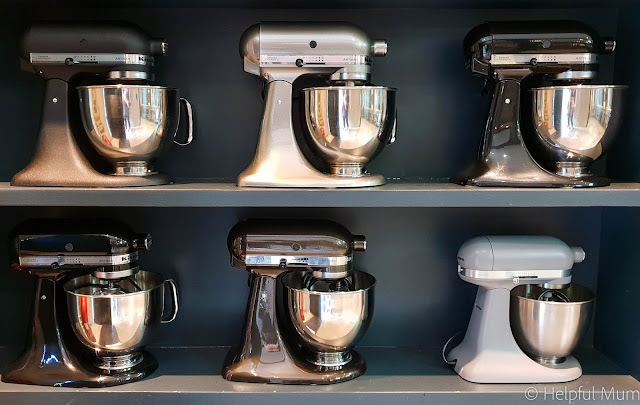 It ensured that we knew the core temperature of what we were cooking, and therefore whether or not the food was cooked. It also helped to know where in the barbecue we should be cooking our food, either above the hot coals or at the other end, where the heat was circulating in the same way that an oven would. The end result was absolutely delicious. 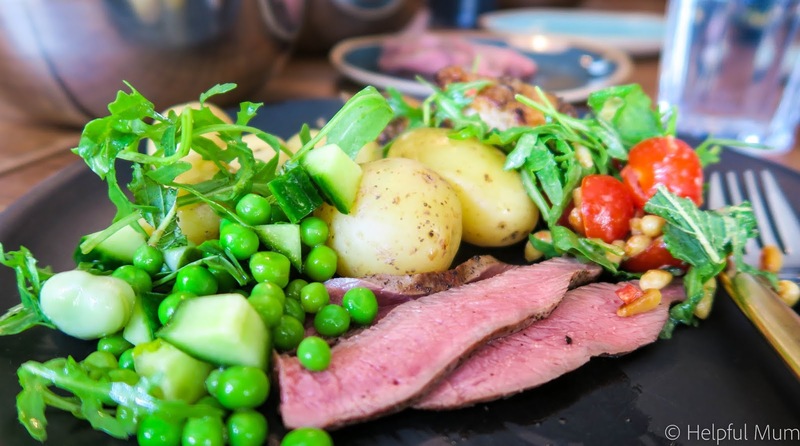 Meat cooked to perfection, warm new potatoes and delicious salads. 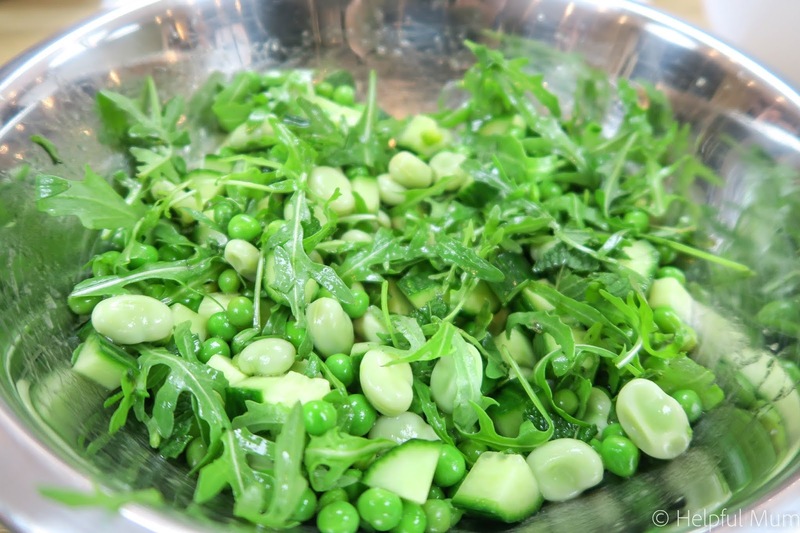 I'll definitely be making the bean salad again, especially when the garden is full to bursting with broad beans, peas and cucumbers. It won't be long now! 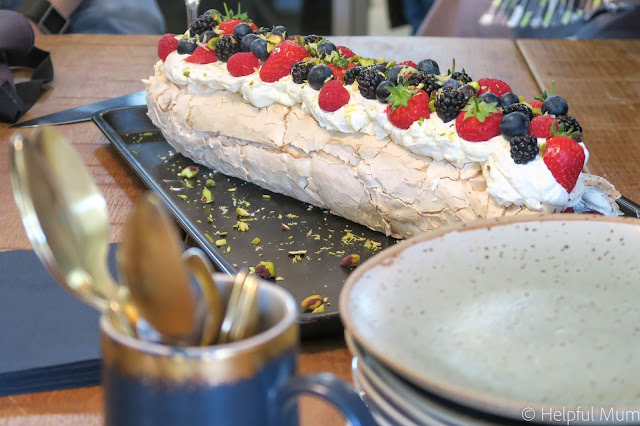 Then Richard cooked up an epic treat, a meringue cooked in the barbecue, rolled up and filled with cream and fruit. It looked absolutely spectacular, and it seemed a shame to cut into it. I can confirm that it tasted just as good as it looked, and the slightly smoky flavour was a really delicious touch. I am definitely converted to barbecue cooking. Now that I know which areas of the barbecue to cook in, and the temperatures that food is cooked correctly at, I definitely won't be scared of cooking on a barbecue. Now I just need to decide on which barbecue to buy! For more information on the Thermapen, check out their website. If you want to know more about Richard Holden, then you can have a look at his website too, he has an ebook out at the moment. Disclosure: I attended the John Whaites cookery school for the purpose of this post.